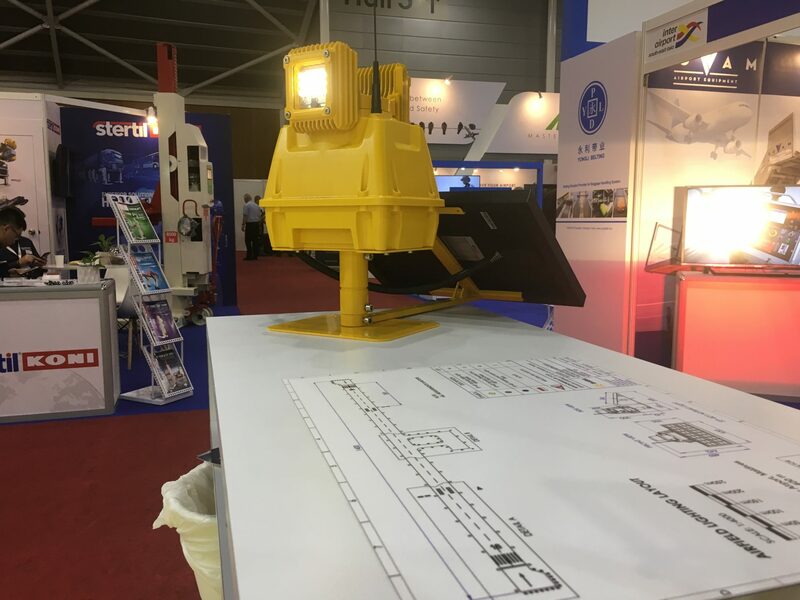 SP-401 Solar LED HIRL is ICAO compliant high-intensity elevated runway light designed for permanent usage at Non-Precision Airports located in regions with NO access to electricity, high photovoltaic potential and increasing flight traffic. Runway Edge lights help a pilot to identify a runway and land or take off safely. Airport lighting can differ with regard to a runway category and the airport equipment level. Nevertheless, the ICAO (International Civil Aviation Organization) regulations in Annex 14 determine clearly the lights layout, intensity and color. Runways edges are illuminated in such a way that supports a landing or taking off pilot as much as possible. Particular edge lights are installed symmetrically with a runway centerline, no further than 3 meters away from a runway edge. When it comes to an instrument runway, the lights will be installed at 60-meter intervals. As for a non-instrument runway, the intervals equal up to 100 meters. Runway Edge Lights give out a white, constant light. At instrument runways, yellow lights are installed for the last 600 meters of a runway (of in the midpoint of a runway, it depends on which distance is shorter). They inform about approaching the end of a runway. It should be added that sometimes there is a need for a displaced threshold – e.g. if the pavement gets damaged and it causes a threat to aircraft operations. In that case, red edge lights that precede the threshold are installed. The intensity of runway edge lights reaches from 50 to 10 000 cd (candelas). To illuminate runway edges, the following light intensity levels are used: Low-Intensity Runway Lights (LIRL), Medium-Intensity Runway Lights (MIRL) and High-Intensity Runway Lights (HIRL). Solar lighting is an alternative to conventional airport lighting, including edge lights. It wasn’t a long time ago that solar lighting was used as a backup option only. However, thanks to the development of LED lightbulbs, using more powerful batteries and providing AGL monitoring, it can be successfully used as a permanent lighting system solution for an entire airport because it is equally effective as an electrically powered lighting. Conventional lighting or solar lighting? Solar lighting brings a broad spectrum of advantages. First of all, it allows for significant spending cuts. Secondly, such lighting is controlled wirelessly so there is no need to build a complex network. Solar lighting systems provide three power supply options (that’s why they are often called hybrids). The first one is of course via solar panels. 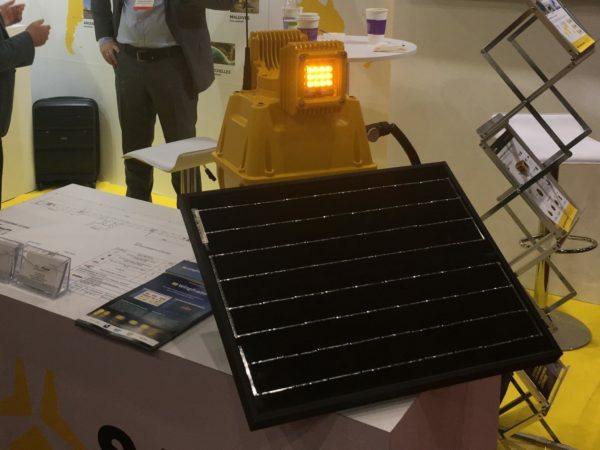 However, if solar panels turn to be insufficient (due to cloudy weather for a long time), each lamp can be charged from a charging station, or even directly from an electric power grid. 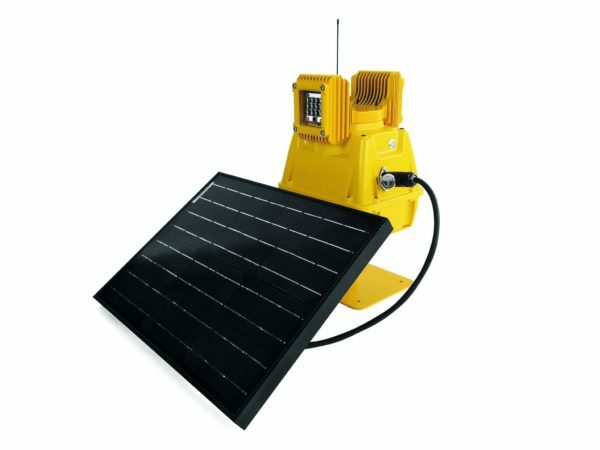 An additional asset of solar lighting is the fact that it is amazingly cheap and simple to maintain. One doesn’t need to hire special personnel for the maintenance and fixing works. Malfunctions can be quickly identified and most of them can be fixed by oneself.